If you have travelled BC Highway 3 lately, you might have noticed some special looking signs and equipment being installed at the side of the road. What’s the scoop? 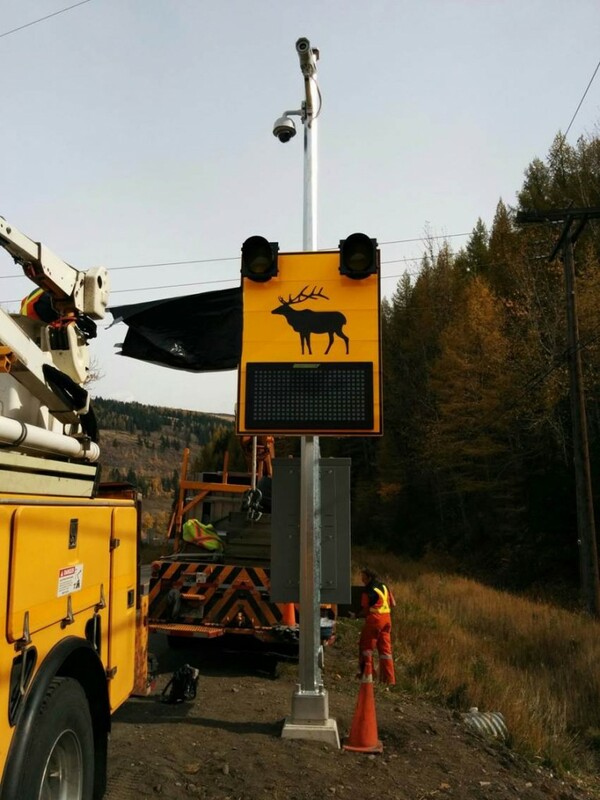 Well, because deer, elk, and moose can sometimes wander onto B.C.’s highways and have the potential to cause serious crashes, we are piloting two new high-tech wildlife detection systems on Highway 3 to help keep both motorists and wildlife safe. When large animals approach the highway, sensors will detect their movement and trigger flashing warning signs telling drivers to slow down and help them avoid hitting the animal. 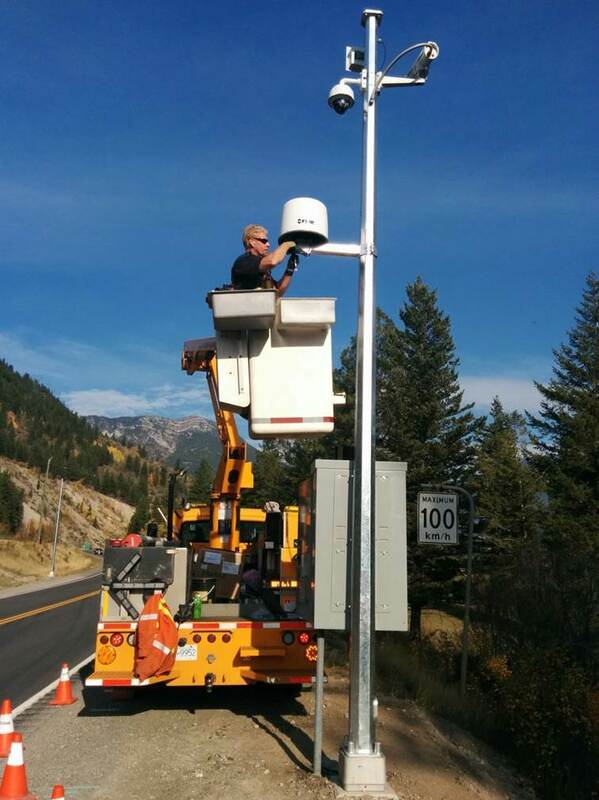 These systems will be installed in two locations in the East Kootenays. The first site is approximately 1 km east of Elko and the other approximately 2 km east of Sparwood. Once the installation is done, we’ll test the new systems for at least two months to make sure they are working properly before going “live”. Our staff will monitor the data from these sites to determine if wildlife related crashes decrease as a result of the new detection system. This data will then be examined to see if this system could work in other parts of BC. What else is BC doing to keep motorists and wildlife safe? BC has many other mitigation measures to keep motorists and wildlife moving in opposite directions, including: wildlife exclusion systems (such as wildlife fencing, over and under passes, etc. ), roadside mowing and clearing and advisory signs. You can help too. Wildlife has a presence on all roads in the East Kootenays, not just BC Highway 3. As the weather gets colder and fall transitions into winter, wildlife moves to lower elevations by highways. Please remain alert and cautious for wildlife everywhere you drive. Pretty cool stuff huh? Do you have any questions or comments about this project or any other work the BC Ministry of Transportation and Infrastructure is doing? Let us know in the comments below or connect with us directly on Twitter, Facebook, Instagram or Pinterest. Safe travels, all. Installation is underway for two flashing wildlife detection systems on Highway 3 between Fort Steele and the Alberta border.